* Black Joe Lewis and the Honeybears hook it up tonight in Lexington at Cosmic Charlies. Hailing from Austin, TX, these guys are a combination of blues, funk and soul. They are a gratuitously fun show to catch. Monday, February 18, tickets are $14. * Scott Weiland from Stone Temple Pilots must be clean enough to do solo gigs now, and is stopping by Bogart’s in Cincinnati on Friday, March 22, tickets are $25. * If you haven’t seen Gov’t Mule, and like the Grateful Dead, Allman Brothers, or Widespread Panic, these guys are a must see. Guitarist Warren Haynes is one of the greatest guitar players living currently, and this band is composed of road warriors. They are a bit harder than the other bands mentioned, but Mule always throws in some tasty cover songs to smooth the edges. They play the Taft Theater in Cincinnati on Saturday, April 27, tickets are $32.50. 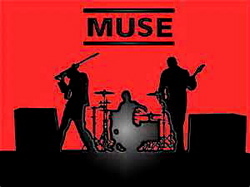 * The Muse show at U.S. Bank Arena is only nine days away. Their new disc “Panic Station” is excellent and Muse brings a lights and effects presence similar to Queen and Led Zeppelin. This is a great venue to catch them in as it’s about half the size of the usual venues where Muse plays. Wednesday, February 27, tickets are $39.50 to $49.50. * Tiesto plays Nationwide Arena in Columbus in 10 days. This is a big show in size but this area doesn’t get a guy like Tiesto much. If you want to see what the EDM (Electronic Dance Music) scene is all about check out this show. It will be trippy fun. Thursday February 28, tickets are $48.40.